At least 300 shops around the Tipu Sultan mosque were shut today and posters pasted on them said, "Shops closed for implementation of religious verdict against Barkati." 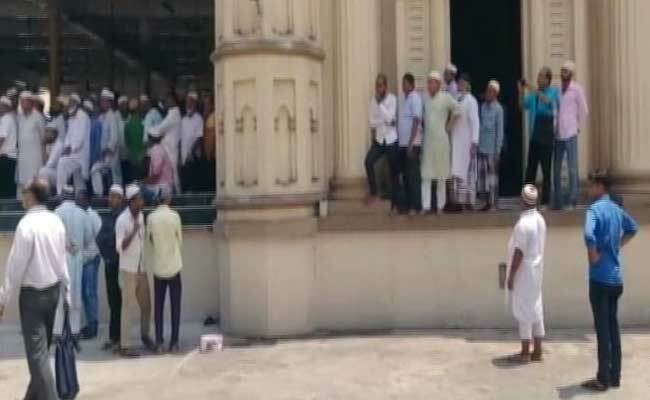 Kolkata: The Imam Barkati saga took an ugly turn today when he tried to lead Friday namaz at 1 pm at the Tipu Sultan Masjid in Kolkata but was heckled and pushed out by angry people who said there will be no politics in the masjid, only prayers. The deputy imam, Hafez Harun Rashim, finally led the prayers. As the worshippers dispersed after prayers, many welcomed the sacking of Imam Barkati by the trust in charge of it. Some religious bodies also issued "fatwas" saying the imam should be removed. 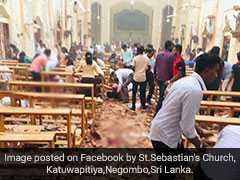 But Imam Barkati claimed he told his deputy to lead the prayers as he was feeling sick. 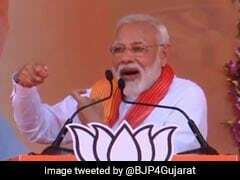 All this came on a day when West Bengal Chief Minister Mamata Banerjee, once viewed as close to Mr Barkati, pulled up lawmaker Idris Ali at a party meeting. 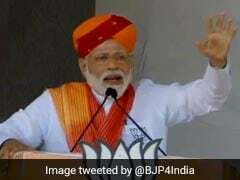 Idris Ali was sitting beside Mr Barkati earlier this year when the Imam issued the infamous fatwa against Prime Minister Narendra Modi. At the masjid, as people streamed out after prayers, the anger against Noorur Rehman Barkati was palpable. "He is maligning the Muslim community. We did not let him lead the prayers," said Mohammad Zaheeruddin. "You can either be a politician or a religious leader. Not both at the same time," he said. Sajid Hussain said, "We don't want to see politics in the masjid." Mohammad Miraj Khan said, "Those backing Barkati have vested interests. He has said anti-national things... He should have begged forgiveness." Soon after people dispersed after namaz, Mr Barkati told the media, "I was manhandled yesterday, I did a CT scan, there is some problem. I am feeling very sick today. So I said I won't be leading the prayers for the next few days, my deputy will." Asked about videos showing him being shouted down by people and forced to leave the mosque, he said, "I don't know who the trouble makers were. All outsiders. The local people are with me." However, at least 300 shops around the Tipu Sultan mosque were shut today and posters pasted on them said, "Shops closed for implementation of religious verdict against Barkati." The posters were signed Shopkeepers Welfare Association. They had held a similar protest a couple of months ago too. Sources say Ms Banerjee seems to have distanced herself from Mr Barkati. She had, in the past, shared a stage with him several times. But on Saturday, she sent a senior minister to ask him to remove the red beacon from his car - something that he claimed Ms Banerjee had permitted him to use. That same day, another minister, Sidiqullah Chowdhury, had held protests outside the Tipu Sultan Masjid, condemning Mr Barkati's statements. On Monday, Mr Barkati's men had attacked the office of an Urdu newspaper edited by Trinamool lawmaker Nadimul Haq who filed a police complaint against him. A leader of the Shopkeepers Association at the Tipu Sultan Mosque said, "I don't know if Mamata Banerjee has removed her protective hand from over Mr Barkati. But the Muslim community has."